If you are a responsible tree care provider in the Upstate of South Carolina, or even in the Tri-state (North Carolina, South Carolina & Georgia), and desire to provide your clients with better tree care, while growing in your client base, we want to help you do that by providing you with a proven source of arboricultural knowledge, and referring great clients to you at no cost! No commissions, referral fees, or memberships. No bull! We already refer millions of dollars of free tree work to responsible tree care providers in the South, and are looking for new companies we can recommend to our great clients. We are consultants. This is what we do. Since we no longer do traditional tree care services, such as removal, pruning, stump grinding, spraying, cabling, bracing, cavity repair, lightning protection, mulching, planting, hedging, irrigation and landscaping, we don’t represent any competition to you. Since our clients need of these valuable services, we need companies the we can refer them to. Since we are independent, and a proven arboricultural source in the area, our referrals carry more weight than paid referrals and traditional advertisement, and yield a higher percentage of jobs, from a higher end consumer (additional screening can prove useful; no one wants more headaches than necessary). We believe you can have an accident free workplace, hire and retain responsible employees, and establish a better client base of satisfied owners/managers that pay on time and appreciate your great service. 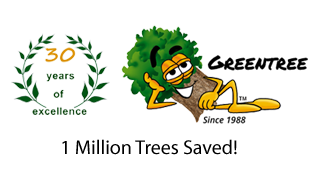 We have helped/trained many companies and arborists. We have done this for decades in 7 states. We want to help you! We also can provide your clients consultation (risk assessment and pest diagnosis), pest treatment, preservation, accident investigation, litigation, de-girdling of trees, root zone therapy and root issues. Offering these services, without necessarily possessing the expertise yourself, increases your market and makes you look more professional. Clients appreciate the professional courtesy of referring us. We never disappoint! Also, having a Board Certified Master Arborist on staff, without having to go to the expense of hiring one, has many benefits. Especially, when you get in a jam! We have helped many companies in most every aspect of tree care. Whether you have a difficult takedown, trouble with employees, get in legal pickle or just have a question about tree care, we are here to help you. “I have been referring Greentree to my customers who need accurate tree health diagnosis and treatment since Randy Cyr moved his company to Greenville around 1996. My customers have enjoyed prompt service, and have seen their trees’ health improve, many times dramatically, from their care. “Greentree gives good value for their services and their fee includes return visits to monitor the trees they treat for up to 3 years after treatment. I highly recommend Greentree.